I love a good farmer’s market as much as the next girl, but I feel like we don’t show enough love for a good grocery store produce section. There are no Krogers where I live, but Krogers has one hell of a good produce section, right? And Food Lion! Terrible store overall but a great produce section! Wegmans is such a mixed bag of a produce section. The produce is usually excellent and the selection is better than many other grocery stores in my area. But the produce section is so poorly organized! I shop almost entirely at Wegmans and yet I still don’t know where the carrots are (because they are in a different place every time). Obviously they just want us spending more time in the produce so we’ll throw some more impulse vegetables in the cart . . . and it’s working. Let’s be honest: rutabaga has never been on my shopping list, but I’m never unhappy when a rogue rutabaga ends up in my path. I’ve written about this before, but apparently I am quite approachable at the grocery store (and the hardware store . . . and the craft store . . . and the sidewalk . . . maybe I’m just approachable). When I’m buying an unusual vegetable (or just spaghetti squash), ladies stop me to ask what I plan to make with it. With a rutabaga in my cart, I always get this question. 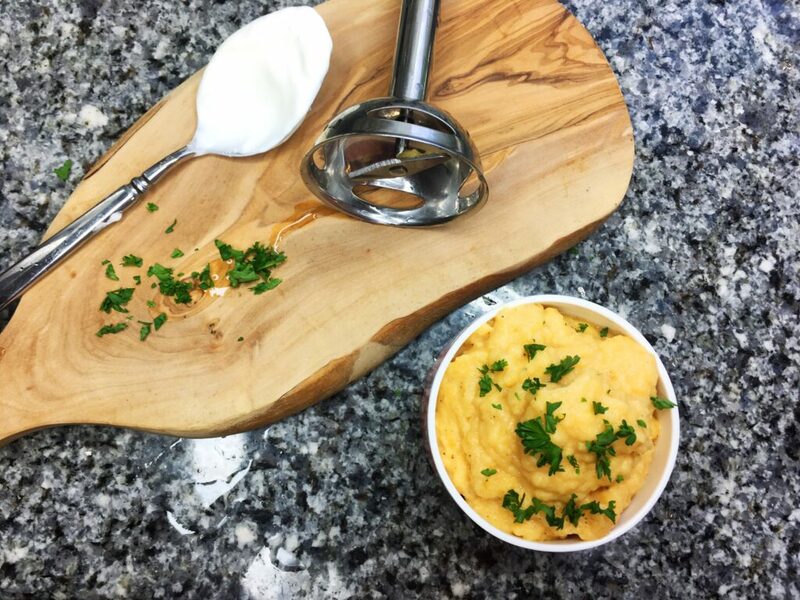 Guys, rutabaga doesn’t have to be a big deal. I’ll just toss some cubes in olive oil and salt and let it all roast away in the oven. 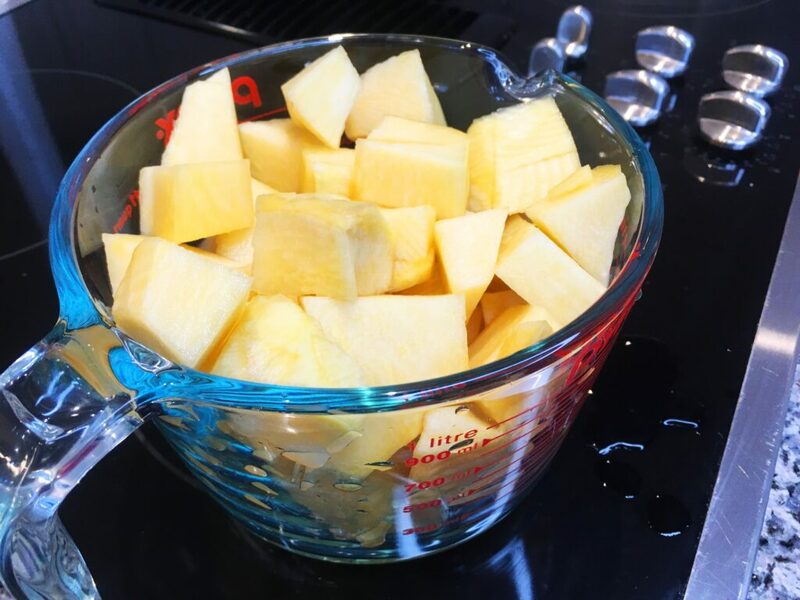 I’ll lightly mash boiled rutabaga with a little bit of butter. But when I’m introducing rutabaga to the uninitiated, I’ll put a little more thought into it like I did here. I’m also trying to convince my mother to take her Instant Pot home with her. I bought it for her for Mother’s Day last year and she keeps leaving it at my house! I know that sounds like she just doesn’t want it, but honestly it’s that motherhood sacrifice thing. She thinks that I need it more than she does (even though I already have an instant pot). And I bought her the smaller one because I knew she thought the 6 quart model was too big! Anyway, Mom loves rutabaga. I grew up hating the stuff and I think it was largely because of how she cooked it. She always microwaved it. I don’t think that really hurts the flavor at all, but it definitely stunk up the house. And it was hard to make myself even try a bite of something that was that malodorous. 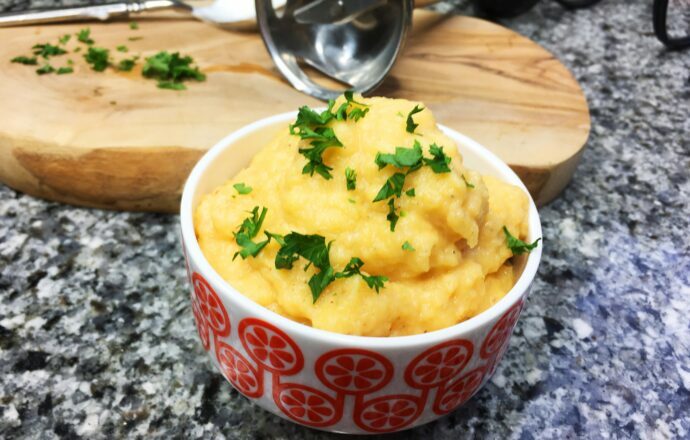 Cooking rutabaga in the Instant Pot really cuts down on the smell. Give it a try! 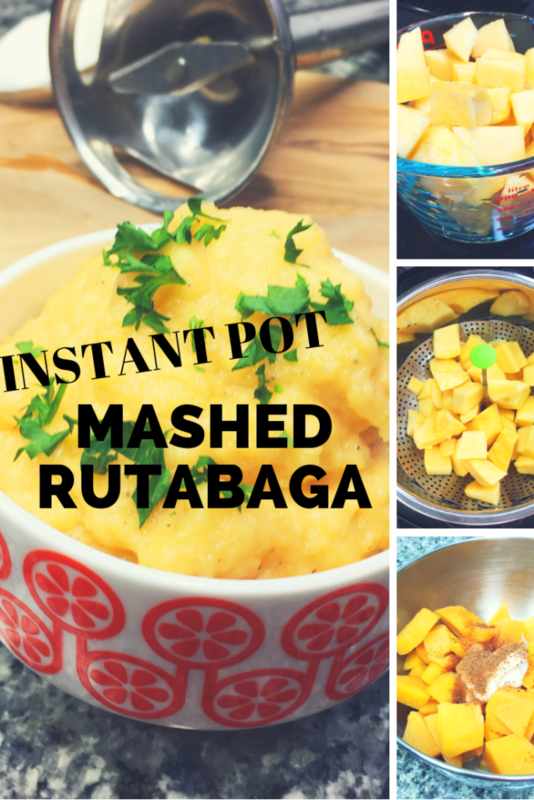 Cooking the rutabaga in the Instant Pot is really simple. Add one cup of water to the inner pot. Put in your steamer basket or trivet/rack (whatever you use when you don’t want to cook something directly in the liquid). If you don’t have a steamer basket or trivet, it’s okay. I’ve just thrown the rutabaga in with the water. 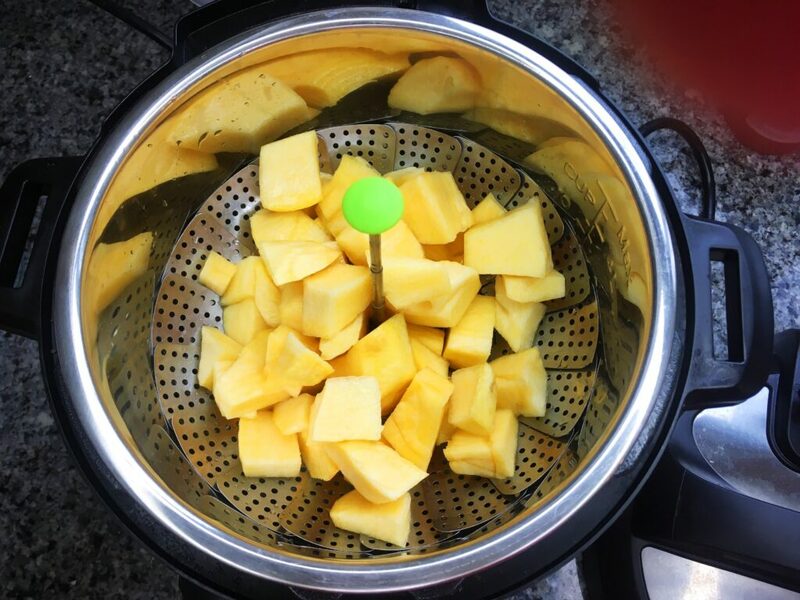 If you’re doing that, you’ll want to let the rutabaga drain a little longer after you’re done cooking it, just so it isn’t too watery when you mash it. Set your Instant Pot to Manual and use the up/down buttons to set it for 7 minutes. At the end of the cycle, you can either use the quick release or natural release option (depending on how much of a hurry you’re in). 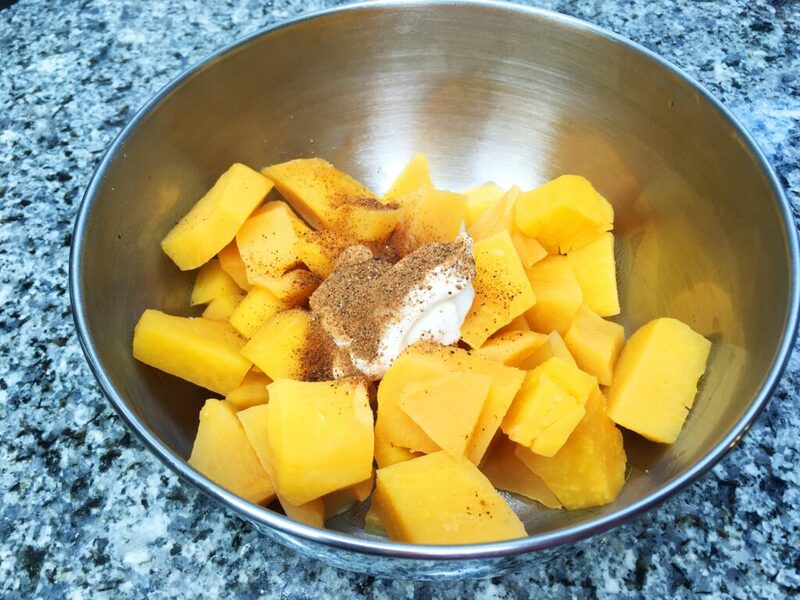 Once everything comes to pressure, pull the rutabaga out of the pot and throw it in a bowl with the salt, sour cream, and nutmeg. Y’all know I love my immersion blender, so I use that to mash it all up together.